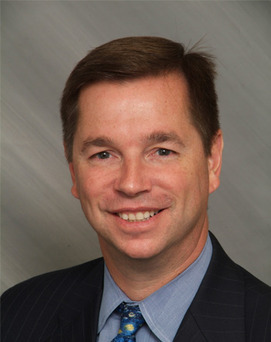 Ken has been actively representing Corporate America in both the acquisition and disposition of industrial and office properties since 1982, exclusively with NAI James E. Hanson. His ability to understand the needs of his corporate clients has resulted in his being retained to handle their affairs on numerous occasions including: Melissa and Doug, LLC, Advance Circulation Services, Graybar Corp., Con-Way Logistics, Life Time Fitness and others. In addition to his brokerage experience, he has worked as a fee-based consultant for the Lincoln-Mercury division of the Ford Motor Company, Best Foods, and the Bank of New York. His expertise is demonstrated by his facilitation of a smooth transaction from inception to completion. Ken’s ability to offer a wide range of professional services to his clients is enhanced by a continuous commitment to education. His in-depth market knowledge, integrity and exceptional aptitude for developing relationships with his clients are the reasons they continue to engage his services. In addition, having a strong background in the financial analysis of a transaction was an essential element in his involvement in the $105,000,000 UPREIT sale of a 1,700,000 square foot industrial portfolio to First Industrial Realty Trust, a Chicago based REIT. • Real Share New Jersey frequent moderator/panelist at annual convention. • Board of Trustees of the Arc of Bergen and Passaic Counties.